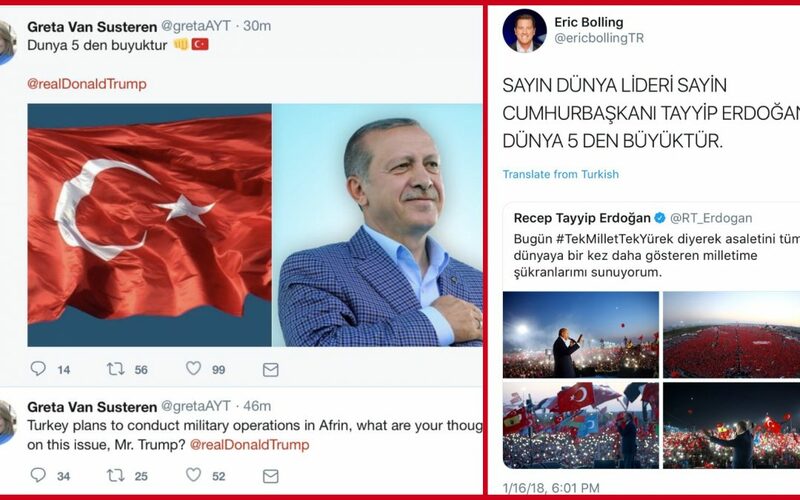 The Twitter accounts of the US-based TV hosts Greta Van Susteren and Eric Bolling was taken over by the Turkish hacker group Ayyildiz on Tuesday. The hacker group posted pro-Erdogan tweets from both TV personalities’ accounts along with pictures of Erdogan and the Turkish flag. “You are hacked by the Turkish cyber army Ayyıldız Tim! We will show you the power of the Turk!” the group tweeted through Susteren’s account. The same group also briefly hacked the Twitter account of the German magazine Der Spiegel’s editor-in-chief Klaus Brinkbäumer two days ago. “We would like to apologize for the bad news that we have reported and published up till now about Turkey and [President] Recep Tayyip Erdogan,” a tweet by Brinkbäumer’s hacked account read on Jan 14.